You can invite new people if you want to add them as users in your account. Invite people by sending an email or giving them a link. 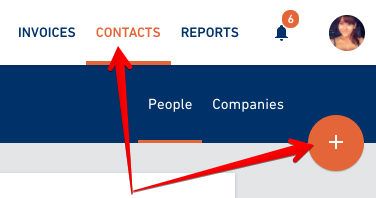 Go the Contacts tab in the main navigation and select "+" button. 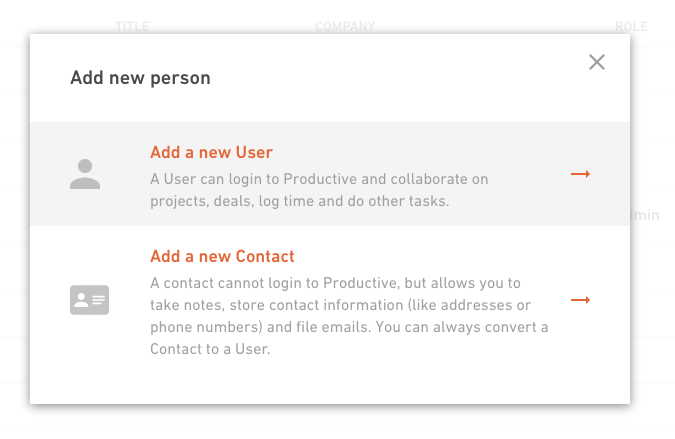 A user is someone who has credentials to log in to Productive, has a role with a set of permissions and can collaborate on projects, track their time and do other stuff. Employees - full-time members of your company. They have a defined monthly/hourly cost rate and a specific role. 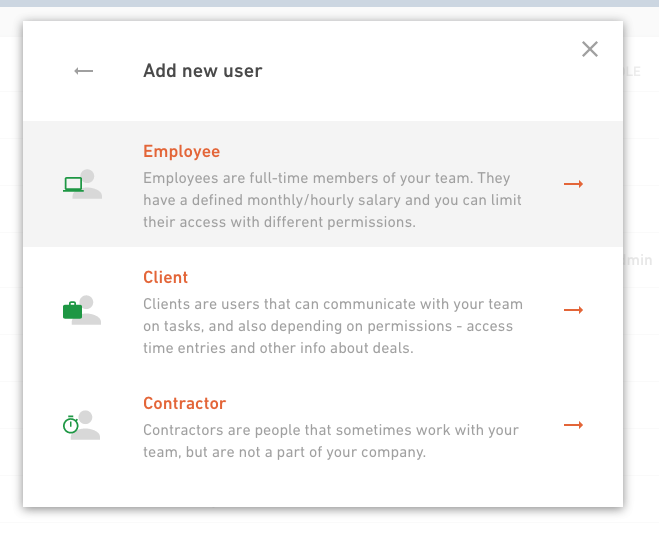 Clients - collaborate with your team on projects and tasks, and also depending on their permissions can have access to time entries and other info about budgets. Contractors - people that sometimes work with your team, but are not a part of your company. Select a type of user you want to add. 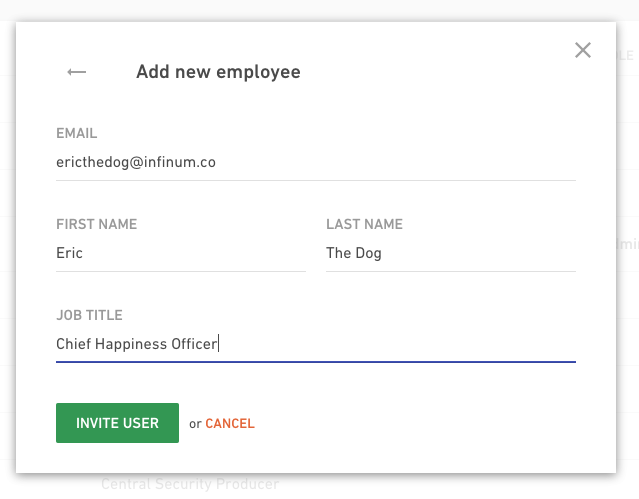 Put down their details like e-mail address, name and job title and hit the Invite user button. The user will receive an e-mail from Productive with a link for signing up. 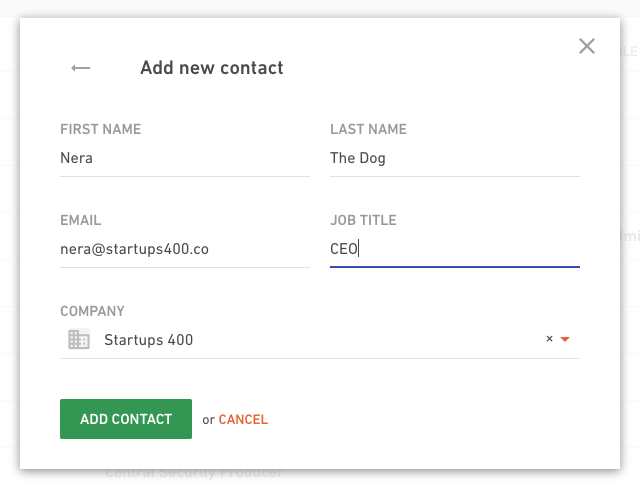 A contact is someone you, for example, met in a meeting and want to save their contact information for the future reference. A contact doesn't have credentials and can't log in to Productive. 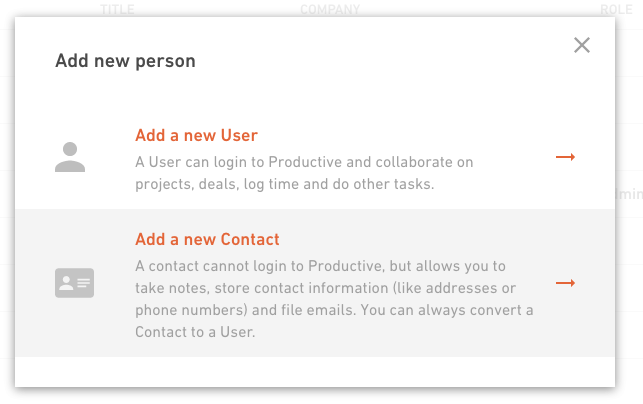 When you create a contact, you simply save the contact information of that person without sending an invite to join Productive. If you want to invite more people at once, read more about it here.